Sakai Guides and DocumentationSakai Complete User Guide Course and Project SitesHow do I create a new course or project site? 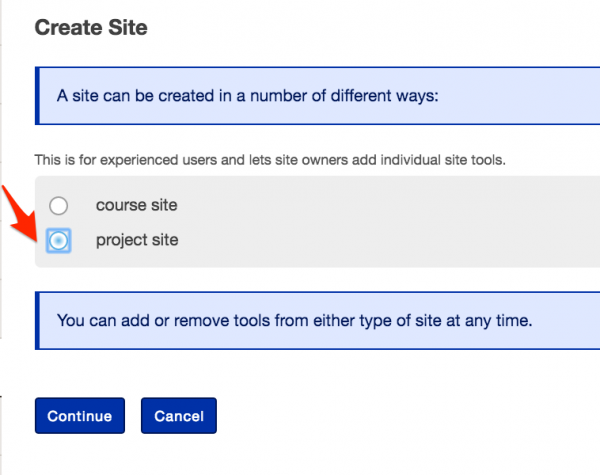 If you have the appropriate permissions to create new course or project sites, you may do so from either Worksite Setup or Sites in your Home area. Select the Worksite Setup tool from the Tool Menu in Home. Click on the Sites link to view your sites drawer. 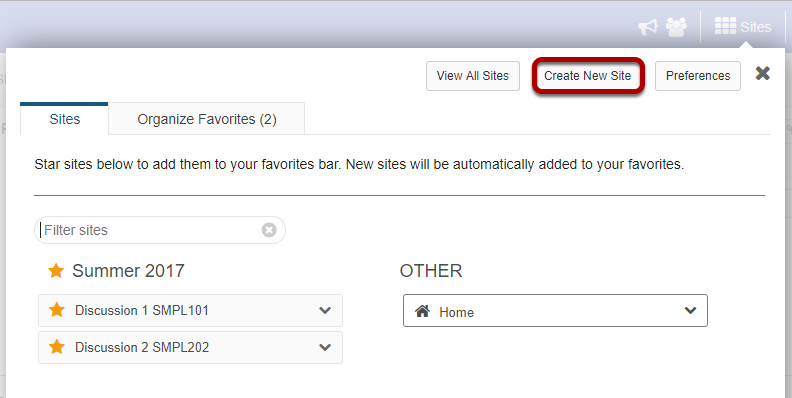 From your sites list, click Create New Site. 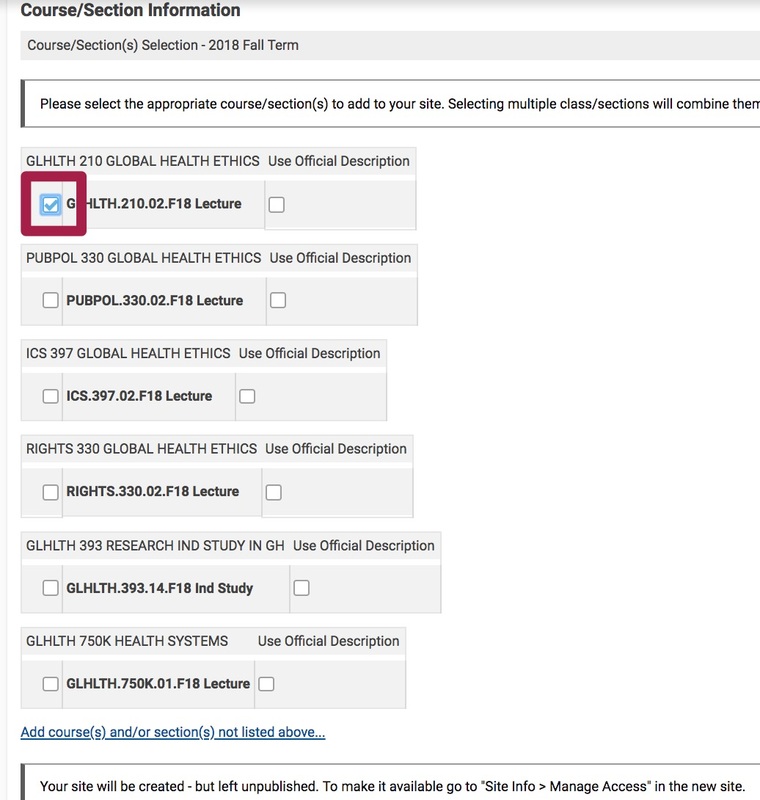 Select course site, the term and site template. Then click Select Course. Check the box to the left of the course name. 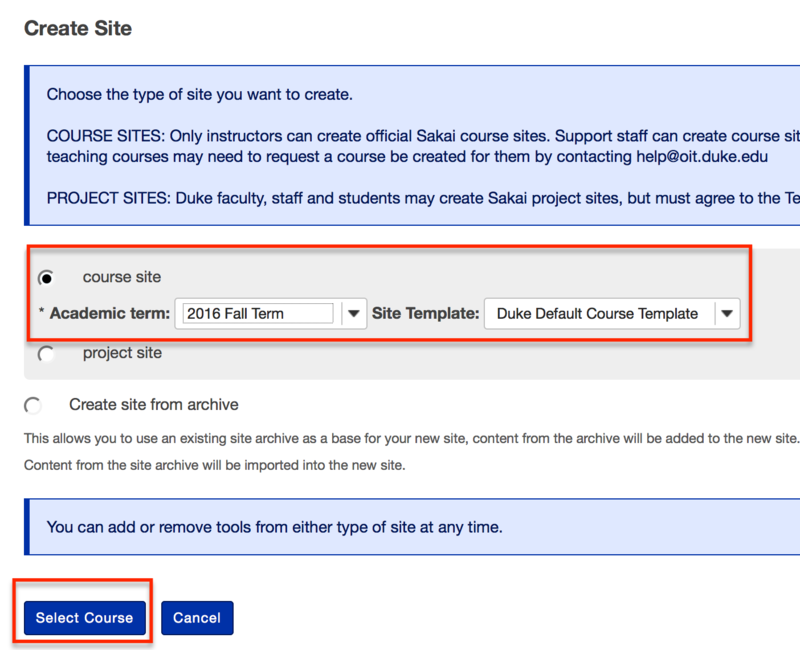 Note: If you select multiple courses or sections, they will be combined into one Sakai course site. For cross-listed courses or sites with multiple rosters: choose ONE course in this list that has the most appropriate name for the course site (cannot be changed later). Additional rosters can be added after the site is created through Site Info, Edit Class Rosters. For academic staff and TAs creating sites on behalf of faculty. 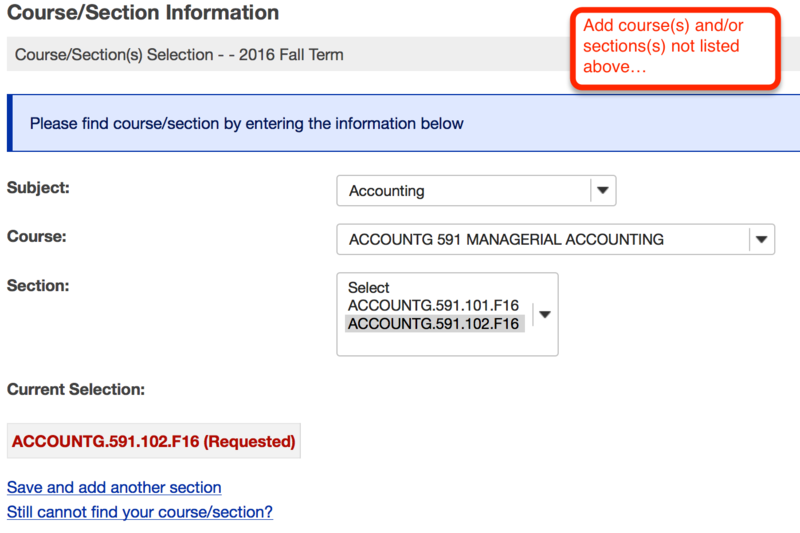 Select course from drop-down menus. Confirm you are an instructor or the instructor's delegate. Students are not allowed to create course sites. Type INSTRUCTOR in the text box to confirm. A link to your new site will appear in a pop-up window. The site can be published immediately by clicking Publish Site. Newly created sites show up automatically under the Sites icon and in the Sites bar under the Duke header. Accept the terms of service. Select the purpose. 1. Review and accept the Terms of Service. 2. 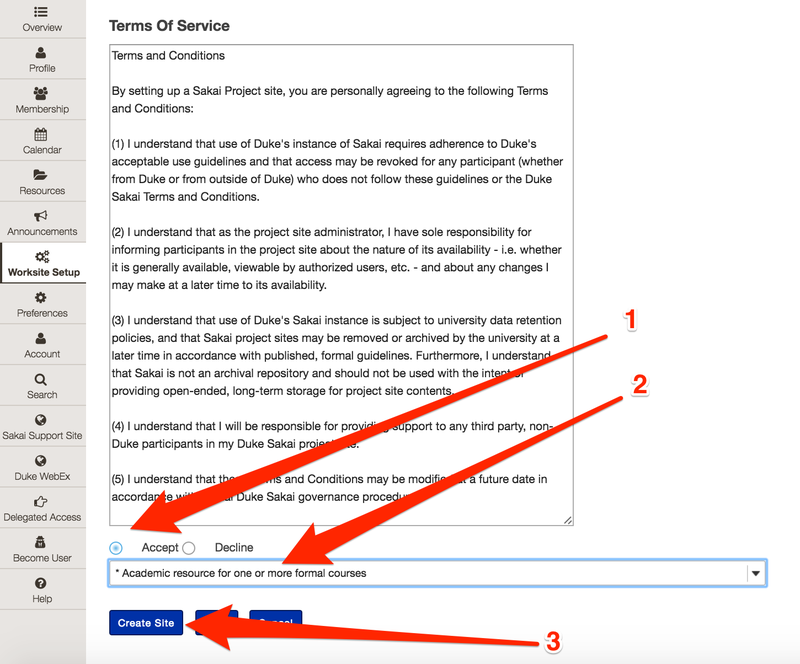 Indicate the purpose of the project site you are creating. 3. Click Create Site to finish. 3. Provide a description for the site. 4. Enter the site's contact information. *If desired, you can change the default language for your site to any of the available languages listed. Languages in this list will vary depending upon the language pack(s) installed on your instance. Click on the desired language to select it. The information entered into the description area will appear on the site's home page. Place a check mark next to any tools that you would like to use in the project site. 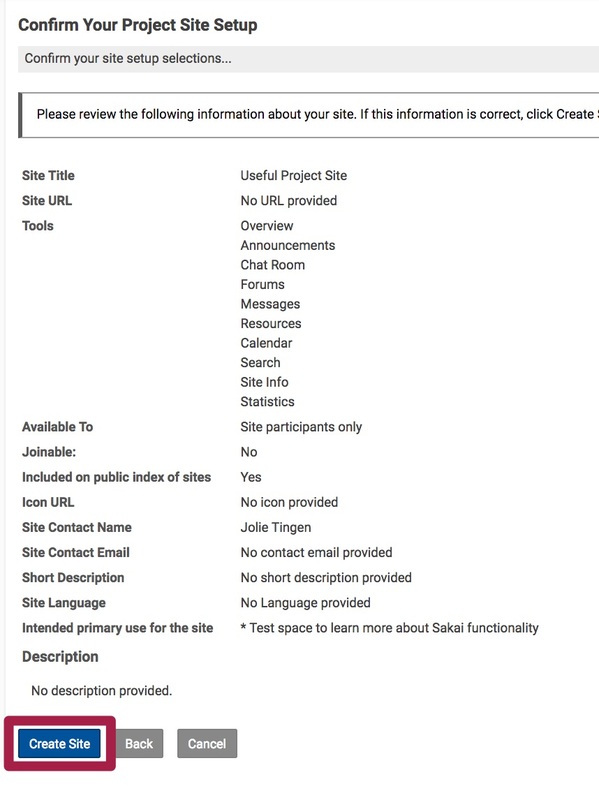 Site Status: Select to Publish the site, or Leave as Draft (i.e. unpublished). Unpublished sites are only visible to site owners, not other participants such as students. Additional Access: In addition to enrolled users, you may also elect to allow all users of a particular origin or role to have access to your site. General: Select the type of users allowed to access the site. You may choose either Anyone (which includes unauthenticated users) or Logged in users. Site Visibility: Displays the current status of site's visibility in the site browser. 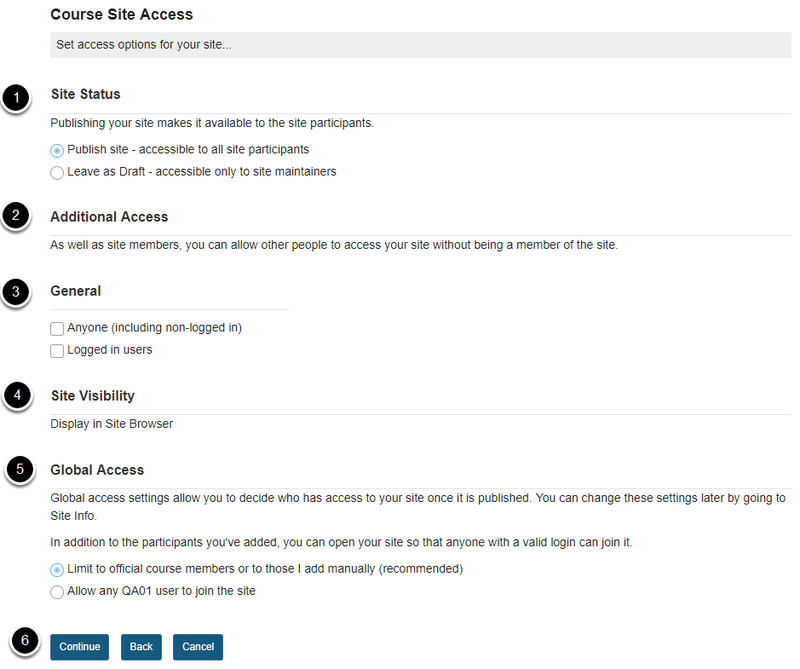 Global Access: Choose to make site access Limit to official course members or to those I add manually (recommended) or Allow any user to join the site. You will see a screen which displays all of the site settings for verification. If everything appears correct, click Create Site. 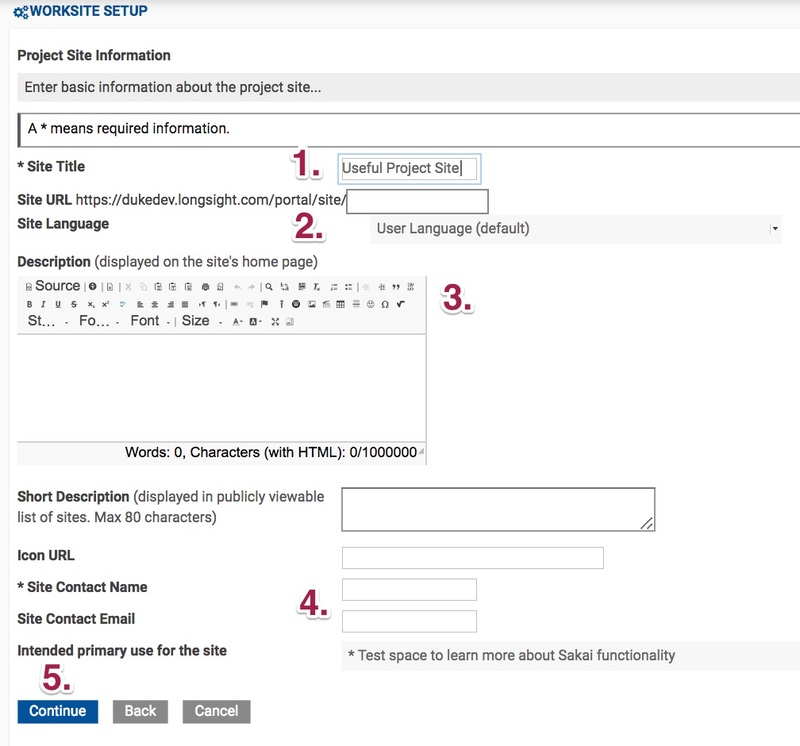 Prev: What are project sites?